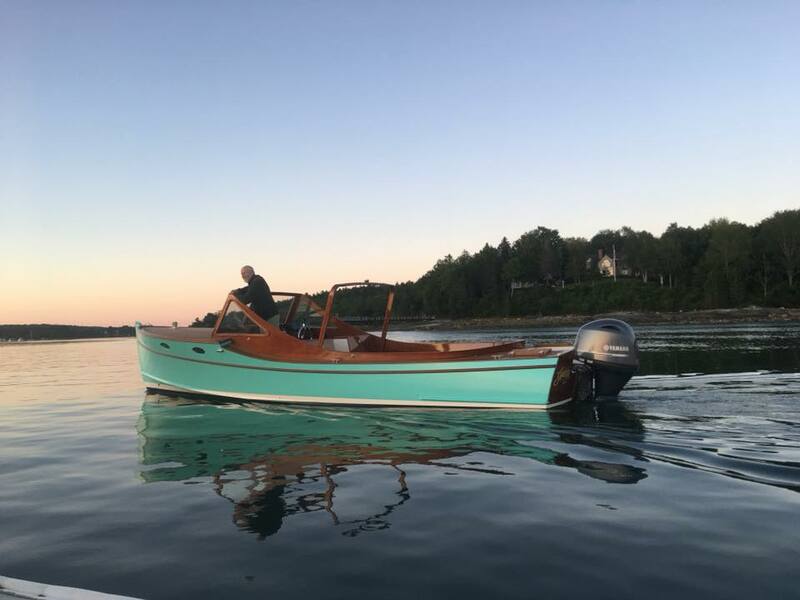 Hylan & Brown have the skills, experience and facilities to build any wooden boat up to 65 feet. While we are strong proponents of traditional plank-on-frame construction, we also have experience in strip plank, molded, chine plywood, and glued lapstrake construction. Our long experience in restoring older classics has shown us which traditional methods have stood the test of time, and which ones can benefit from updating. Our large, well equipped and lighted shop makes work efficient. 13′ Doug Hylan BEACH PEA peapod design. Several built to this design. 21′ Doug Hylan PRETTY MARSH runabout, molded construction. See WoodenBoat 148. 16′ Doug Hylan plywood sailing skiff. See also the smaller LITTLE CRAB. Joel White design, traditional plank on frame construction. Two boats built to this design. Iain Oughtred designs, glued lapstrake plywood. Several built to this design. 14′ to 16′ variations on Doug Hylan’s BEN GARVEY, taped seam plywood.